Heading to Erv’s, in the Brooklyn neighborhood of Prospect-Lefferts Gardens, you may not think you’re in the right place. It’s on a small, dead-end street, off a busy avenue, and the awning hasn’t changed from when it was a laundromat. But as you approach and see the people through the windows, some crowded around the small bar, others perched studiously behind a computer or having a laugh with a friend, you know you’ve come to the right place. But Leo gets our attention back with a cocktail (that always works). 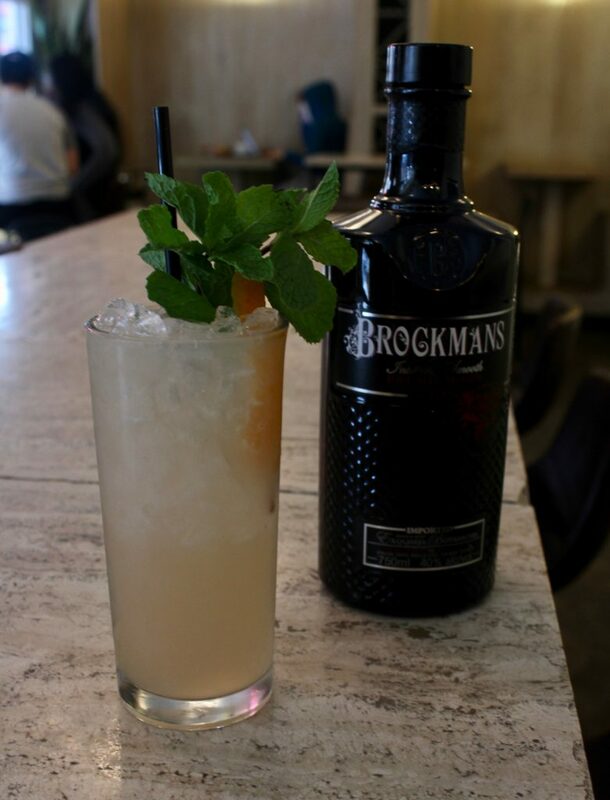 Clearly also dreaming of summer, he adds cucumber vodka, coconut rum, and grapefruit juice to the Brockmans. Our interest in piqued. 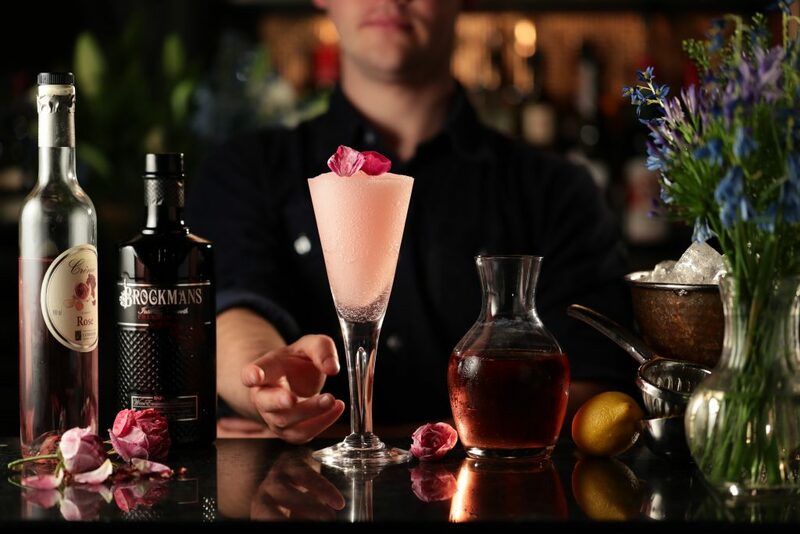 And if the amount of ingredients in this drink seems like a lot, we have a look at the current cocktail menu, a giant laminated single sheet with 27 drinks on it, all packed with flavours, all given playful names, all grouped together by spirits. We ask Leo how it works to have so many cocktails. Leo is a treat to talk to. Affable, his mind always seems to be churning. As we chat, people walk in and say hi to him. He’s clearly a fixture of the place. 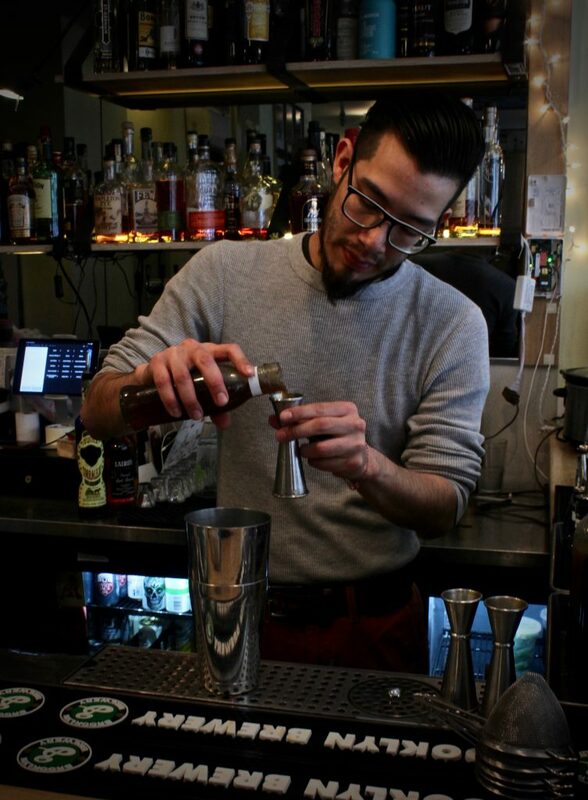 He is, after all, the only remaining member of the team that opened this little bar almost five years ago. Born and raised one neighbourhood over, it was easy for this bar to become his home. 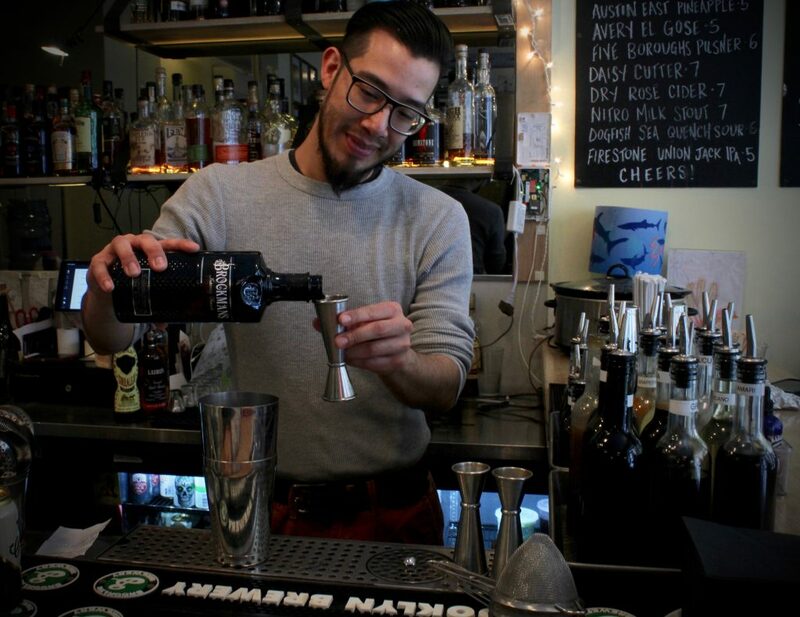 It is no wonder that Erv’s, this little cocktail bar on a little dead-end street has become a neighborhood staple. It may be unassuming to the untrained eye, but inside it is packed with people, flavours, and corners to congregate. 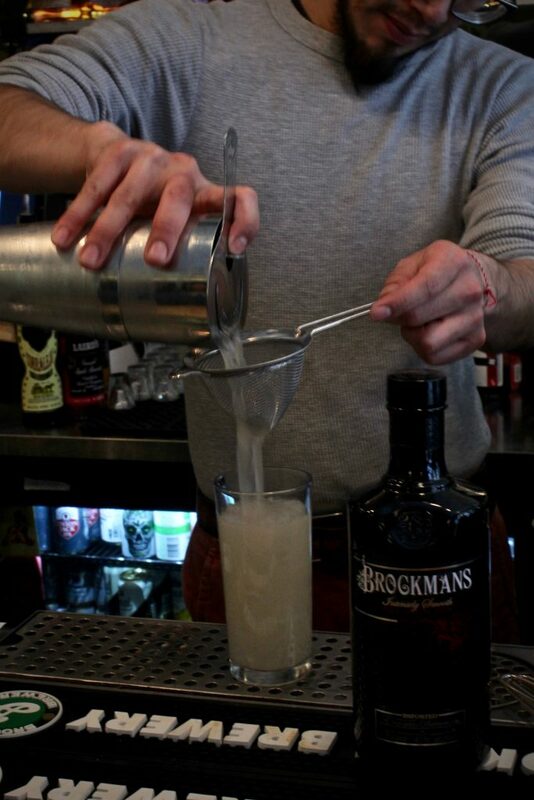 Oh, and that Brockmans tiki cocktail? Absolutely sublime. Add all ingredients except for club soda into a shaker. Shake briefly to lower the drink’s temperature. 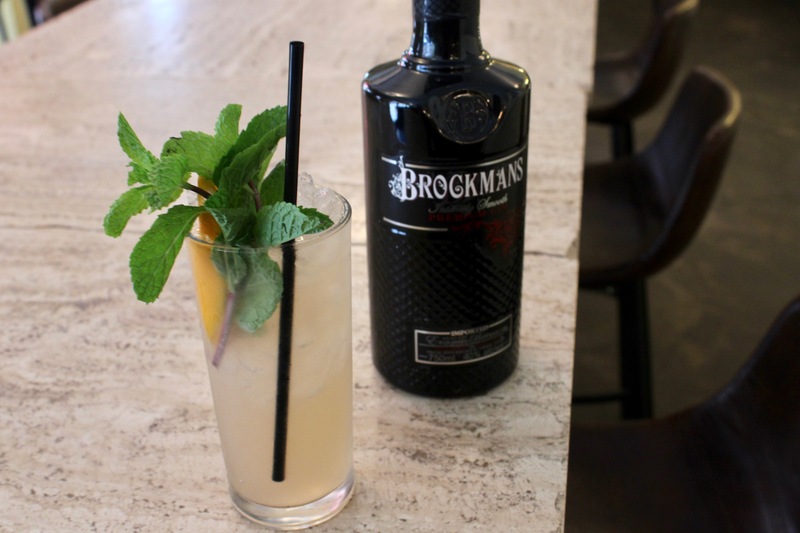 Garnish with a mint bunch and an orange peel.